What are property search agents? Property Search Agents, also known as home finders and home search consultants are specialist who will look for your ideal property for you and will become involved in all stages of the negotiations, holding the deal together during conveyancing until completion. 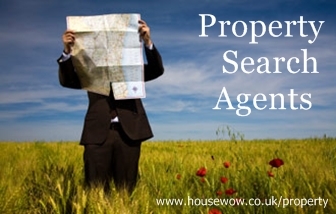 What do Property Search Agents do? Property search Agents use their expert knowledge to search and preview the best properties according to your instructions and support the whole buying process so that you achieve the best deal possible. Property Search Agents can liaise with Estate Agents more effectively with whom they may have already built relationships. They use your detailed criteria and their contacts and online resources to find the best property for you. Estate Agents regard them as a professional support to you as the buyer and take your interest as a serious one which will mean that you are viewed as a committed party in the house buying process. What Property Search Agents fees can I expect to pay? Different fee structures exist for the search and support to completion. There will always be a fee to pay even if you decide to drop out of the buying process to cover their home finding services. 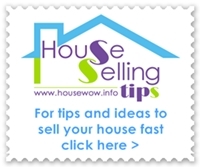 Check for a local Property Search Agent who knows the area you wish to buy property in and compare fees. Look for reviews and recommendations. Property search and House finders Association. Property Search Agents can opt to join up to the Association of relocation professionals, subscribe to the redress scheme with the property ombudsman and abide by the OFT office of fair trading statutory standards for money laundering for property professionals but there is as yet no Property search Agent or Property finders Association. An Association called APFBA Association of Property Finders and Buyers Agents was set up in 2009 but appears to have met its demise by 2012. The website apfba.org is no longer available. The best known Property Search Agents are Phil Spencer and Kirstie Allsopp from Channel 4's TV shows Location, Location, Location and Relocation, Relocation. Phil founded Garrington residential property finders in 1996, now one of the leading brands in the property finding industry. Phil Spencer has written widely on property search, property buying and appeared in a number of TV shows, the latest one being Secret Agent on Channel 4 helping property sellers to sell their hard to sell homes in difficult housing market conditions in the UK. to your home" from Amazon. Phil Spencer's Book "How to buy your first home" from Amazon. We only act for serious buyers. As a consequence, you can expect some serious advantages from your relationship with us. To organise a free, no obligation meeting to discuss your property needs, please call or email Sarah Van der Noot. Property search in Yorkshire and the North East.